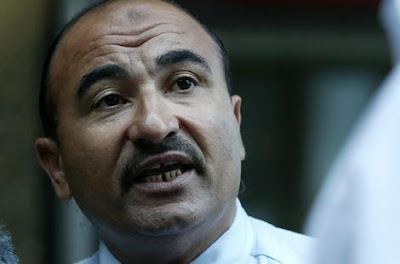 Justice Rod Madgwick made the remarks as he found that a claim by Mr Habib that he was interrogated by Pakistani and Australian officials at the Australian high commission in Islamabad in 2001, before his extraordinary rendition to Egypt, was untrue. But Justice Madgwick said a likely explanation for the inaccurate comment was that the abuse Mr Habib suffered during his time in custody in Pakistan, Egypt, Afghanistan and Guantanamo Bay would have produced "some confusion of memory, some over-susceptibility to suggestion" and "even some tendency to exaggerate". Mr Habib made the contentious claim after he was approached by Pakistani solicitor Ejaz Khan in Auburn in December 2006. Mr Khan offered an opinion that it was common for people arrested in Pakistan to be interrogated in their own diplomatic missions. Even though Mr Habib was blindfolded when he was taken to his interrogations, he decided to change his story about where he was interviewed on the basis of Mr Khan's suggestions, and after viewing photos of the Australian high commission. Mr Habib, from Sydney, was detained in October 2001 in Pakistan on suspicion he had links to al-Qaeda. He was released in February 2005 and was never charged. The ruling was made in a compensation case that Mr Habib has launched against the Federal Government. Justice Madgwick stressed his finding should not be used to discredit any of Mr Habib's other claims in the matter, which is ongoing. Referring to the case of the Federal Government, he said that, at this stage: "It is essentially no part of its case to deny that over the years from October 5, 2001 until his return to Australia, Mr Habib was not grossly maltreated by officials of a foreign government." He said it was "common ground" that Mr Habib was "arrested and detained in Pakistan, interviewed there by at least one Australian officer; taken against his will to Egypt for reasons that cannot have been for his welfare; compulsorily transferred at some point from Pakistani to US custody; taken there to Afghanistan; then to Guantanamo Bay, no ornament to Western civilisation". The finding is instructive because Australian security officials have always hedged about whether Mr Habib was ever abducted and taken to Egypt, citing the fact that the Egyptian Government, which is notorious for employing torture techniques, had never confirmed his presence there. Justice Madgwick said: "On the face of things, there is little reason to doubt that his arrest and imprisonment were accompanied by measures of more active physical abuse." He observed that Western governments, after September 11, 2001, had been afflicted by "irrational reactions, hubris" and had discarded standards of public conduct and civil rights. But he added that he made no assumption that the Australian government, and its security branches, had acted in the same manner or sanctioned Mr Habib's extraordinary rendition to Egypt, which is central to Mr Habib's compensation claim. The case, which continues, is listed for mention on May 2.